Chapter Three: Users of Lost magic?! Chapter Eight: Arriving in Catsman...and finding a clue? Chapter Eleven: An enemy in the night - now two people are gone? Chapter Fourteen: You're a liar and I hate you. Chapter Fifteen: Tears, betrayals and kidnappings. Chapter Sixteen: She's the key. You're just pawns. Chapter Seventeen: Two accidental humans and a purposeful attack. Chapter Eighteen: As dark as the name implies. Chapter Nineteen: I think it's a lie. Chapter Twenty: A Celestial Eclipse. 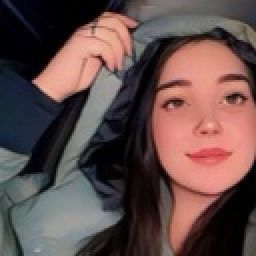 Chapter Twenty-one: You're friends can do nothing. Chapter Twenty-two: A wiped memory can ruin your whole day. Chapter Twenty-three: A future speeding towards despair. Chapter Twenty-four: The Celestial Goddess and The Fire Dragon. Chapter Twenty-six: You're the one that I need. 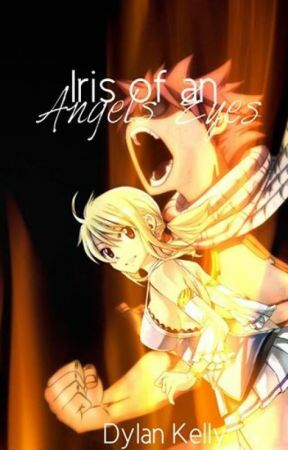 Chapter Twenty-Seven: Lucy Heartfilia - sacrifice? Chapter Twenty-Nine: Winter Marionette - courageous goodbyes! Chapter Thirty: Let me protect you this time. Chapter Thirty-Two: Natsu vs. Catalia: Final battle. Chapter Thirty-Three: Lucy, come on. Chapter Thirty-Four: A nightmare-or a look into the future? Gray&apos;s eye traveled to her black dress and, with a twinge in his chest, realized that her guild mark was still damaged. Gray reached down and placed his hand against her guild mark, his head touching her shoulder as his fingers grazed her thigh. Juvia&apos;s breath hitched in her throat and Gray felt her shoulders stiffening beneath his forehead. "Juvia, I&apos;m sorry." He murmured. "It wasn&apos;t your fault, Gray-sama." Juvia whispered. "Everything is over now." "I know." Gray stood and touched her soft cheek. "Juvia, can we keep...the kiss a secret?" He asked and she looked up at him in shock. "I mean, just until the guild is gathered and under control, just until everything goes back to normal." "But what if it doesn&apos;t go back to normal?" Juvia murmured, her fingers slipping into his. "What if something happens? What if...what if something goes terribly wrong?" She asked and Gray smiled. "It won&apos;t." Gray said. Juvia looked down and bit her lip before longing back at him, her free fingers reaching up to touch his face as she stood up on her tiptoes slightly. Gray froze slightly as her lips touched his softly. When she pulled back, Gray looked at her. "What was that for?" "Juvia won&apos;t be able to kiss Gray-sama for a while. Juvia figured that at least she could kiss him one more ti-"
Gray brought his lips down to capture Juvia&apos;s, his hand coming up to cup her cheek as his other hand squeezed hers. She sighed into his mouth, her free arm coming up to wrap around his neck. His head tilted and his fingers slipped back into her hair, his hand dropping hers to wrap around her waist and pull her closer. Juvia&apos;s other arm came up to wrap around his neck and resting her hand against the back of his head. He felt her fingers tighten on the back of his hair and then, he pictured it, arms crossed, hair flying and a dark figure. Juvia&apos;s smiling face and her mouth forming the words. Forming his name in the most loving way possible. When he pulled back, breathless with his head reeling, he could only wonder what that was before looking at her shaded face. "Juvia?" He murmured, her taste still on his tongue. Her shoulders shook and she looked up at him, happy tears flowing down to frame her smiling face. "I love you." She said and Gray smiled softly, kissing her forehead. "I love you too, Juvia." Juvia pulled back and wiped her face, beaming brightly. "Should we go, Gray-sama?" She asked and Gray smiled, nodding. Five tombstones stood on a hillside over looking the town of Catsmon. Fairy Tail stood overlooking them with Lucy, Natsu, Gray, Juvia, Gajeel and Levy at the front, Wendy, Erza and the exceeds (all of which were back to their regular forms thanks to a very scared Ayame) stood slightly behind them. Wendy was crying and Erza stared at the ground with a tight jaw. Gajeel stood with his jaw clenched and Levy held onto his arm, her own brown eyes filled with tears. Gray stood next to her and Lucy, Natsu on her other side and Juvia beside him. Makarov stood in front of the headstones, his staff clenched tightly in his hand. "Fairy Tail grieves the deaths of the five who died. Though they weren&apos;t a part of Fairy Tail, they leaves handprints on the hearts of eleven from our guild. They were family and will be missed." Makarov said simply before Erza stepped forward to interrupt the older man. "There are three rules for leaving Fairy Tail. First, you must never reveal sensitive information about Fairy Tail to others for as long as you live." Gray stepped forward, clenching his fists. "Secondly, you must never use former contacts met through your being in the guild for personal gain." Natsu took hold of the flowers in his hand and looked at the tombstones with a stern look on his face. "And thirdly, though our paths may have diverged, you must continue to live out your life with all your might, you must never consider your own life to be something insignificant, and you must never forget about your friends for as long as you live." Juvia sniffed, rubbing her eyes and Gray looked at her, wishing he could comfort the blunette and watched as Max, who was behind her, placed his hand softly against her shoulder. Natsu stepped forward and dropped the flowers next the tombstone. Lucy stood next to him as he stepped back, her arm in a splint as Natsu tried to discreetly take her hand. 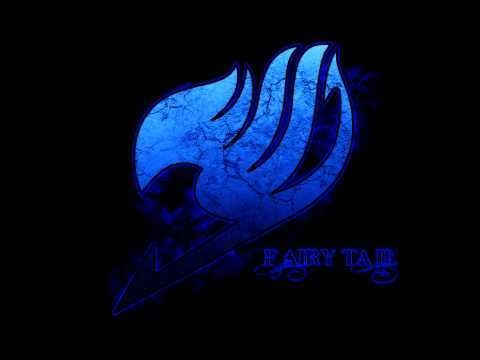 Fairy Tail stood in silence before Makarov slowly raised his hand in the Fairy Tail symbol. Everyone slowly followed, Juvia being the last one as the tears streamed freely down her face. As Gray stood in silence, he felt a hand on his shoulder that caused him to turn his head to the left. He caught sight of a familiar smile and blonde hair and his eyes widened as he watched Yuri and her friends, see through as they watched Fairy Tail. Rin ran around with a tall boy and a small exceed, smiling widely as the tall boy took her hand. Saika and Arashi stood together, fingers interlaced and the cloth that had gone around Arashi&apos;s eyes was missing, showing his entire face. Arashi looked at Saika with a smile as he leaned down to kiss her and Gray could feel his throat tightening up. Diachi stood a few feet away from him and he looked down, catching Yuri&apos;s twinkling green eyes. Ugghhhhhhhh I loved writing this. And how about that sneak preview up there for us manga readers, eh? Man, I can&apos;t believe how far this book has come. I mean, I am astounded at how popular IoAE has become but I have some bad news. The next chapter is the last one. Maybe. Maybe the second to last but I&apos;m still ending in the next two chapters. Thank you so much for your support and I&apos;ll see you next chapter!